Finally, worked up a pleasant sweat outdoors. Beautiful day! Mid-fifties, nice sun, no wind to speak of. And that was exactly what the forecast predicted, so I was happy when Neighbor D called and said it was hay day. I had just been trying to plan some way to spend the day outdoors without walking my stump to a bloody sore. 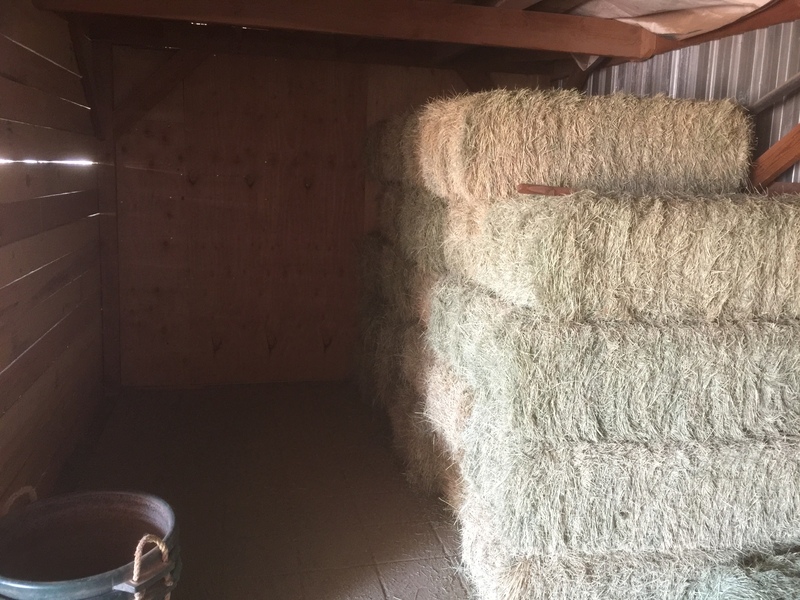 D&L keep about 50 bales for their two horses. When one side of the room is empty, they restock. That way we only have to mess with about 25 bales at a time, which isn’t hard for old folks. 4 Responses to Finally, worked up a pleasant sweat outdoors. Looks awfully green for hay. Might it be alfalfa? Or T&A? MM: T&A obviously means something other than the not-fit-for-polite-company name of the Navy bar I’m thinking of. Timothy and Alfalfa? Sounds like a short-lived TV resurrection of Spanky & Our Gang. 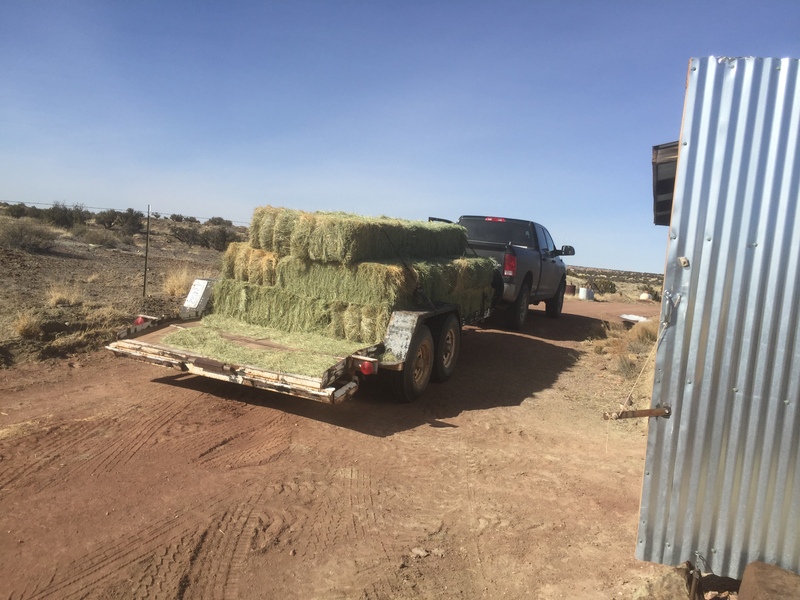 Working up a pleasant sweat by bucking bales is better than by shoveling out from yet another Winter Storm Warning here. Having spent a considerable amount of my teen life dealing with the stuff, I’m used to calling anything in “small” bales like those “hay” . . . or straw, depending on actual content.